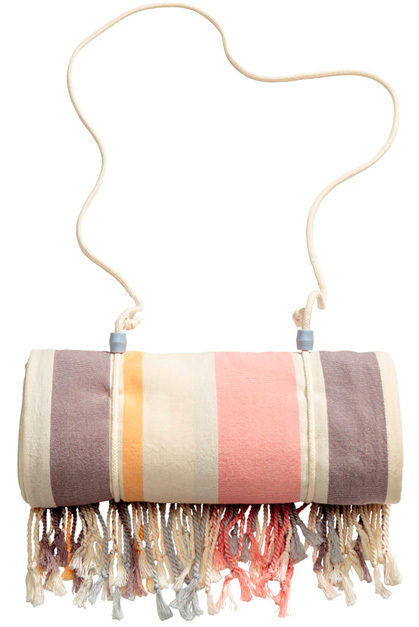 Leave it to H&M to dream up a super cute, sunny-hued beach blanket that includes a handy dandy carry strap. Love! Other great summer-ready, wallet-friendly finds: these H&M ruffled shorts, this J.O.A. eyelet top, this Mango lace dress, this Asos jumpsuit, and this English Factory striped, cuff-sleeve tee.